Trainer Darren Weir and two others have spent several hours being interviewed by stewards. 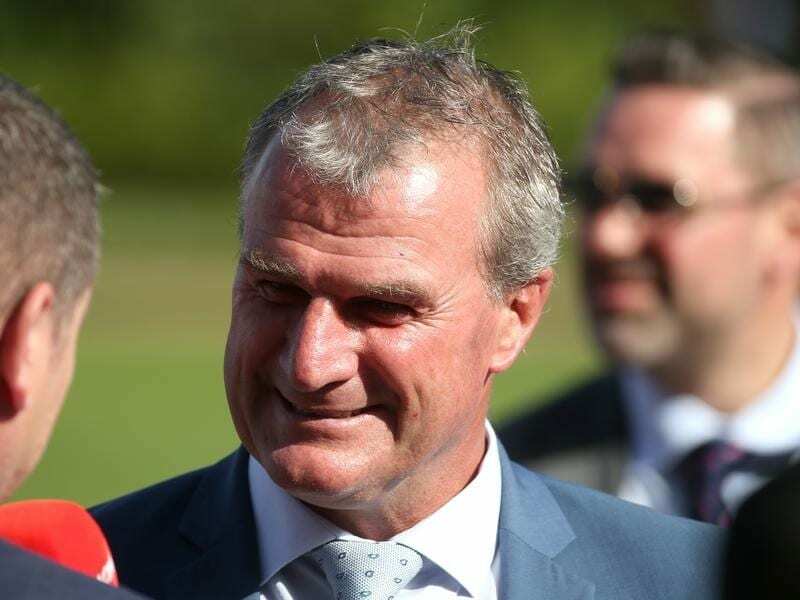 Champion trainer Darren Weir has spent several hours in front of Racing Victoria stewards who have adjourned an inquiry into items found at his stables. Weir operates stables at Ballarat and Warrnambool which were raided on Wednesday in a joint operation by RV integrity staff and officers from the Victoria Police sports integrity unit who found an unlicensed firearm, a small amount of cocaine and four electrical devices, known as jiggers, which are outlawed in racing. Weir, his Warrnambool foreman, licensed trainer Jarrod McLean, and stable employee Tyson Kermond were arrested and released without charge. The three attended RV headquarters on Thursday and left after several hours without making any comment. RV said stewards adjourned the inquiry late on Thursday to consider the information at hand and to obtain legal advice. Stewards expect to issue a further update on Friday. Racing NSW on Thursday issued a show cause notice to Weir as to why he should be allowed to race horses in NSW. “The Show Cause Notice was issued in light of the seriousness of the reported allegations concerning Mr Weir and the responsibility of Racing NSW to protect the image, interests and integrity of racing, further noting that Mr Weir has nominated a number of horses for the Golden Slipper and nominations for The Championships are approaching,” Racing NSW said. Weir, a five time Melbourne premier trainer and the winner of the 2015 Melbourne Cup with Prince Of Penzance, has more than 600 horses on his books and employs dozens of people in his stables.